America’s Next Top Model: Where are they now? Hey Fab Friends! Hope you all are having a fabulous week. Here is our latest addition of America’s Next Top Model: Where are they now edition. 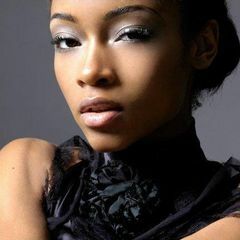 This week, we’re spotlighting Yaya DeCosta from cycle 3’s America’s Next Top Model. Yaya was the runner up to one of our favorite’s Eva Marcille. They were both the shortest girl’s in the competition, (which I loved, considering I’m a model at 5’7). Yaya delivered many beautiful photographs and never ceased to “wow” the judges. You see why she went so far in the competition? Fieeeerce. Yaya is currently signed to Models 1 in London and Ford Models in New York. She has appeared in advertisements for Garnier Fructis, Oil of Olay, Radio Shack, Seda, Sephora, and Dr Scholl’s. She also co starred in the film Take The Lead with Antionio Banderas and Alfre Woodard in 2006. She appeared as Vanessa L. Williams character Wilhemina Slater’s daughter on one of my favorite shows Ugly Betty. So proud of Yaya! It looks like Yaya’s doing well for herself. Congrats Yaya! Don’t forget to watch America’s Next Top Model every Wednesday at 7pm central on the CW.